Every type of roofing confers varying advantages to a structure, whether residential or commercial. This makes choosing one that gives the biggest advantages, or at least the advantage you prefer, confusing and, sometimes, outright challenging. This is why Enchantment Roofing, your roofing maintenance services contractor, clarifies between the top two commercial roofing options: built-up roofing and modified bitumen. Built-up roofing (BUR), also known as tar-and-gravel roofing, is one of the most common and oldest commercial roofing types. American businesses have been using it for over a hundred years. BUR owes its continued relevance to its easy application and simple principle. It comprises alternating layers of asphalt, usually composed of coal tar and adhesives, with reinforcing fibers to form a tough membrane. In addition, gravel can be applied to its top layer for durability (some buildings even used a special roof restoration coating system for reflectivity and energy efficiency). Thanks to its excellent strength, most contractors prefer it for buildings when dealing with heavy impact and those that use the roof as a deck or another floor, as with roof deck restaurants. Modified bitumen commercial roofing has the strengths of other commercial roofing options with none of the shortcomings associated with TPO, EPDM, and PVC. Modified bitumen consists of a multi-ply material to lend it resilience against impact or puncturing forces. Additionally, contractors secure it to the roof deck with bars or plates sealed with a ply overlap. It can also be optionally top-coated with a granule top surface, either for appeal or reflectivity. Modified bitumen has two types: APP (atactic polypropylene) and SBS (styrene-butadiene-styrene). APP uses a roofing torch for application, while the latter can either be bonded using hot asphalt or cold adhesive. Either offers superior performance and longevity. Than other commercial roofing systems. Enchantment Roofing is your trusted commercial and residential roofing services contractor. 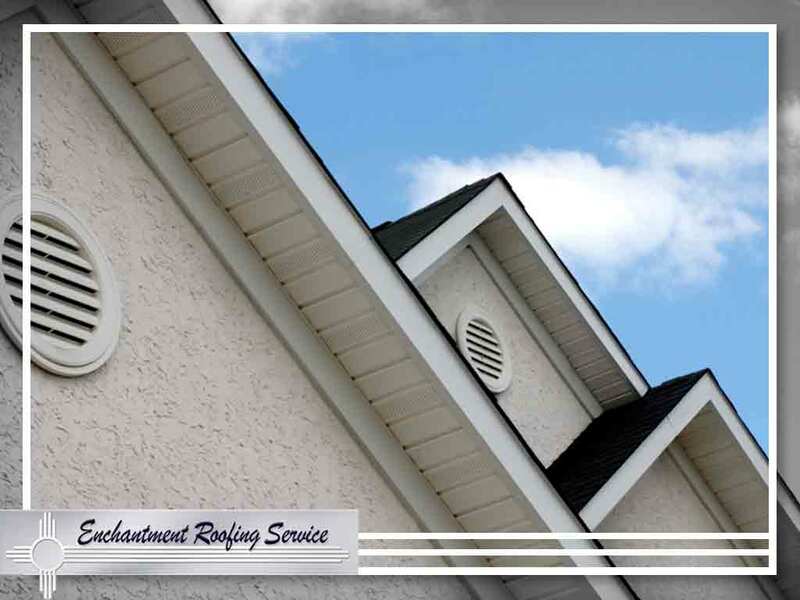 To learn about our other services, including emergency roof repair, fill out our form. You can also contact us via phone at (505) 780-4616. We serve Santa Fe, NM. Let us provide you with a free estimate on our comprehensive services. Contact us by calling (505) 989-1790, or submit our online form.